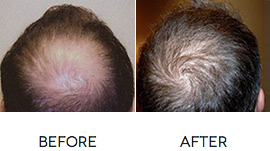 Our patients considering hair transplant surgery in Kansas City benefit from the advantages offered by the NeoGraft hair transplant system at Associated Plastic Surgeons. Unlike manual follicular unit extraction (FUE) procedures, or surgery that cuts a strip of hair from your scalp, the automated NeoGraft system is an efficient process that doesn’t require an incision. 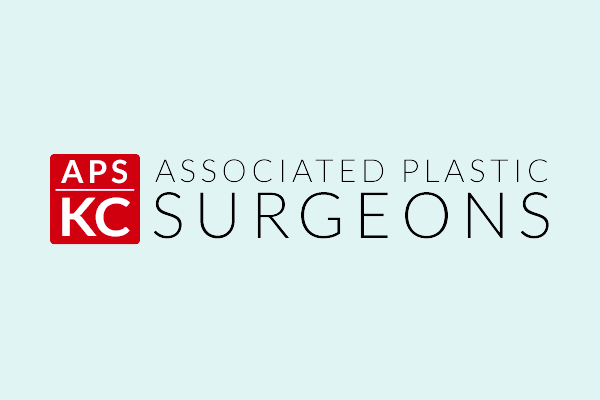 Learn more about this advanced hair replacement process offered in metro Kansas City at Associated Plastic Surgeons by requesting a consultation online, or call our office at (913) 451-3722 to schedule an appointment. Images courtesy of NeoGraft®. Your results may vary. The NeoGraft hair transplant system uses follicular units, consisting of 1 to 4 hairs each, harvested from a donor site. The automated device gently extracts the graft using carefully controlled suction. It’s then put in a sterile container and kept moist until the harvesting process is complete. The fact that grafts aren’t handled and are kept moist is one of the advantages of the NeoGraft system. Manual FUE procedures require technicians to handle the grafts, which can damage their long-term viability. Significantly safer: NeoGraft is minimally invasive and uses the follicular unit extraction technique, rather than the “strip” method, which requires an incision. Fewer complications: Only a local anesthetic is needed, rather than intravenous sedation, because the NeoGraft automated process is more efficient and comfortable than the strip method. There is also less bleeding. Easier recovery: Because no incision is made, no sutures or discomfort associated with removing a strip of hair from the scalp is experienced. “No-Touch” Process: NeoGraft extracts hair follicles and re-implants them using pneumatic pressure, which means they aren’t handled during the procedure. Less trauma to hair follicles enhances their survivability. Results appear natural: The FUE procedure results in a thicker head of hair than the follicular unit transplantation (FUT) procedure (the strip method). You can even wear your hair cut short because there is no scar to worry about. 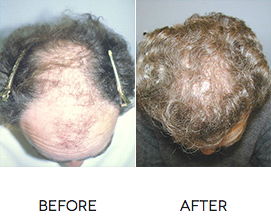 Cost-effective: Our surgeons can replace more hair during a NeoGraft session, saving you money. Your hair transplant surgeon in Kansas City provides detailed pre-transplant instructions to ensure your procedure goes smoothly. Patients undergoing a NeoGraft hair restoration procedure should cut their hair short prior to arriving for treatment. By doing that, changes following the hair transplant will be less noticeable at work and socially until the donor site is covered by new hair growth. On the day of your procedure, prepare to spend at least 4 hours at our office. In some cases, the procedure takes up to 8 hours. Make sure you have a few light snacks and lunch, if desired. Don’t schedule any work or social appointments for the day. After your surgeon ensures the grafts are secured in the proper position, both the area of the transplant and the donor area are rinsed. We provide detailed instructions to help you care for the grafts. There are no sutures to remove because there is no incision, which also means there is very little discomfort. It’s important to protect your hair from the elements, including sun and wind, during the first couple of weeks following the procedure. Gentle shampooing is necessary during the first week. When will I see hair start to regrow? The transplanted follicles typically shed within the first few weeks. While results vary, they should begin to grow in their new location within a few months. It can take 6 months to a year for you to see full growth. The transplanted hairs will last as long as they would have at the donor site. However, you may continue to lose hair around the grafts, and some men may benefit from using minoxidil or Propecia to stave off further thinning. 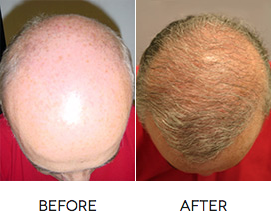 If you lose more hair in the future, another NeoGraft session can be done. 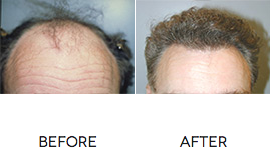 One benefit of the NeoGraft technique is that it leaves plenty of follicles in the donor area for harvesting in the future.